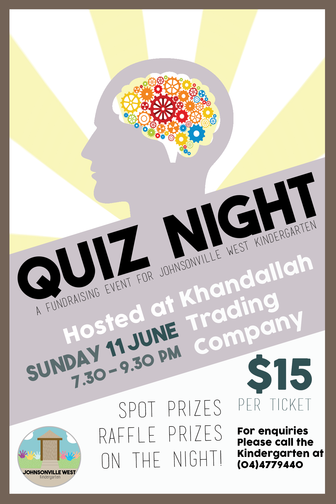 On Sunday 11th June at 7.30pm Johnsonville Kindergarten will be holding a Quiz night. This will be held at the Khandallah Trading Company. Tickets are $15 each and can be purchased by contacting the Kindergarten.